Would you book your bike online? 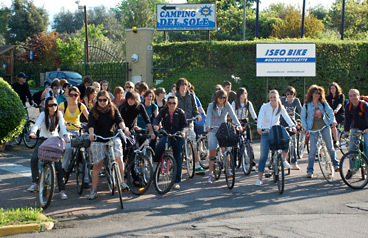 Would you rent a bike to appreciate the beautiful sceneries of the region of Iseo Lake and Franciacorta? Would you appreciate the tourist routes of the region on two wheels, whether you plan a self-guided tour or a group event guided by a local expert guide? 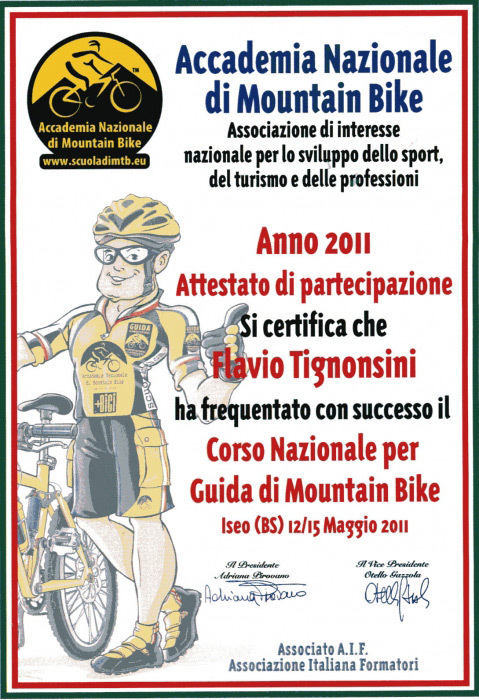 Do you like sport holidays and would you sped them beside Iseo Lake? Iseo Bike gives you the opportunity to enjoy your perfect stay or outing, because of its enthusiastic and professional approach to the activities on offer. 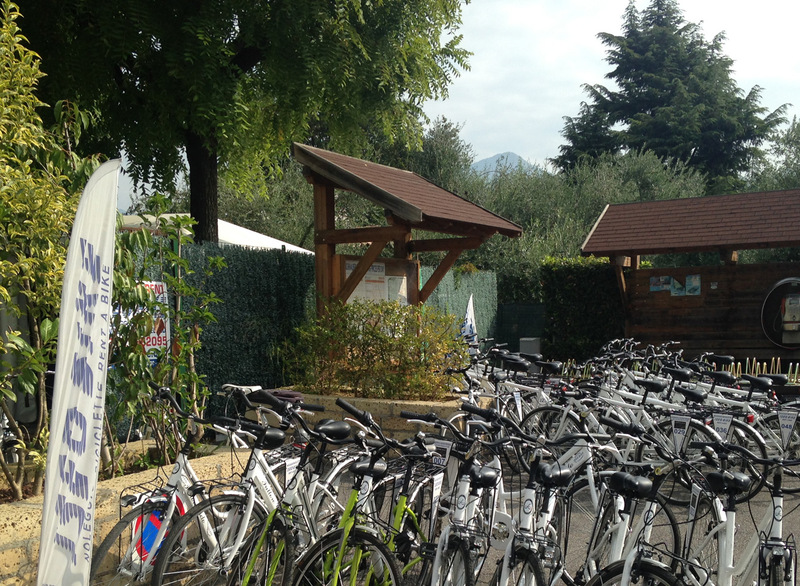 You find us in Iseo, at the entrance of the Campsite "Del Sole" and just a few minutes away from the town centre. 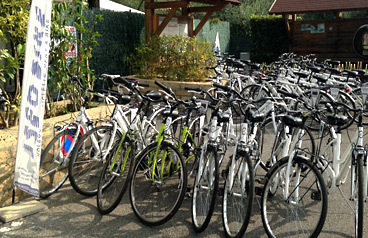 Enjoy with us the best bike tours in the area of the province of Brescia. 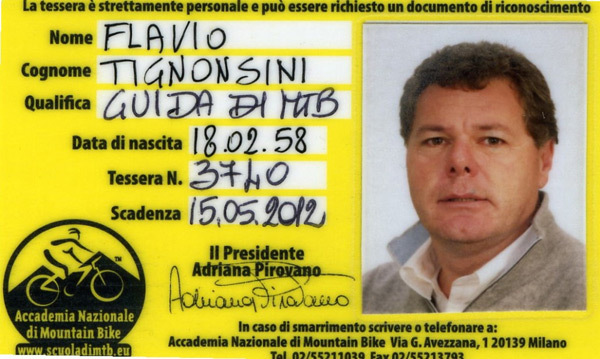 Iseo Bike is the brainchild of Flavio Tignonsini, a former trainman with a genuine passion for this land... and for bikes. Flavio is a mountain bike guide, certified by the Italian Academy of Mountain bike. At the Academy he gained technical and practical knowledge about bikes, hints on emergency mechanical repairs to the bike, as well as all the other information relevant to the safety of those he leads. 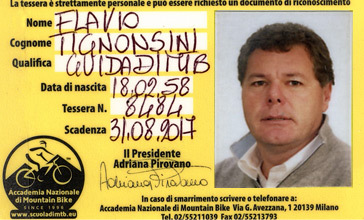 He has personally tracked down some of the most popular cycling routes in the region of Iseo Lake and Franciacorta. An area awaiting discovery, pedalling! We offer you the opportunity to practice bike touring in the area of the province of Brescia, by taking cycle routes with various grades of difficulty: from the easiest itineraries to the most challenging routes. the spectacular hoodoos in Zone. So, are you ready to saddle up?